Courage for Kids is pleased to announce that multiple Grammy Award Winner and Double Platinum R&B recording artist Chris Brown (through his Symphonic Love Foundation) has made a generous donation to support the work of Courage for Kids with at-risk children in Washington, DC. This donation will support the nonprofit’s GIVE BACK-pack Initiative, which provides children in early childhood education programs at Bright Beginnings and CentroNia with backpacks filled with school supplies to take with them when they enter Kindergarten. “It is fantastic that Chris Brown has joined us as a supporter of Courage for Kids. In my own work, I have been blessed to expand my business, Ask Miss A, into other U.S. cities, and my dream is to be able to do the same thing with Courage for Kids, so that we can help kids across the country. With a strong partner like Chris Brown, I know that this dream can become a reality,” said Andrea Rodgers, President & CEO of Courage for Kids. The Symphonic Love Foundation and Courage for Kids are both passionate about supporting youth. Chris Brown has a long-standing commitment to nonprofit work. Indeed, giving back to those less fortunate was instilled in him by his mother, Joyce, who served as Director of Tappahannock Children’s Center for 24 years. At the age of 17, Brown donated $50,000 from his “Up Close and Personal Tour” to St. Jude Children's Research Hospital. 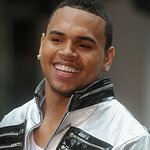 For more information on Chris Brown, visit ChrisBrownWorld.com. To learn more about The Symphonic Love Foundation, please visit SymphonicLoveFoundation.org. For more information on Courage for Kids, please visit www.courageforkids.org. You can also follow Chris Brown on Twitter at @ChrisBrown.